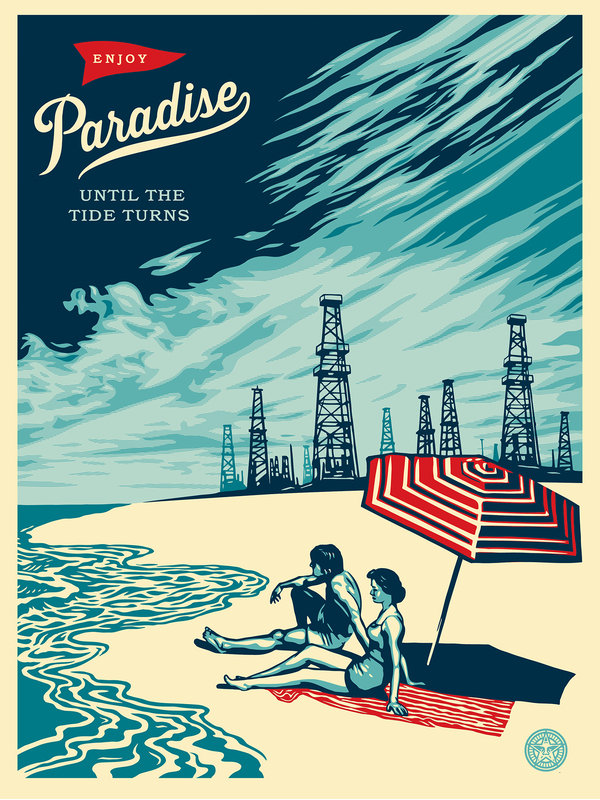 This Paradise Turns print was inspired by some old photos I saw of oil derricks down on the beach at Playa Del Rey and Long Beach. There are still oil drilling platforms visible from the beach in Santa Barbara. Beyond just the environmental hazards of oil spills and climate change, the idea of trouble in paradise is also about our lack of foresight in transitioning away from oil, which is finite, to energy sources which are renewable. The tide will turn, and the question is whether we will be technically equipped to adapt, or will the things oil provides, that we take for granted, halt catastrophically? 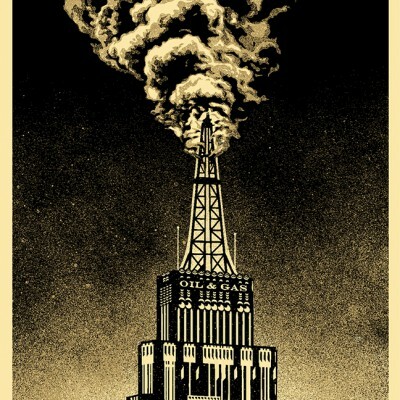 A few of my prints recently have dealt with oil and gas, so if you missed them and want to read further explanation, check it out. 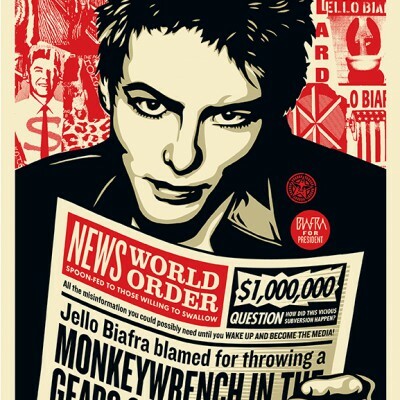 18 x 24 inch screen print. Signed and numbered edition of 450. $45. Limit 1 per person/household. Release date: Thursday, March 6, 2014 at a random time between 10 and 11am PST in PRINTS.